Very few things beat sitting in front of a roaring fire on a chilly evening with a large glass of wine. 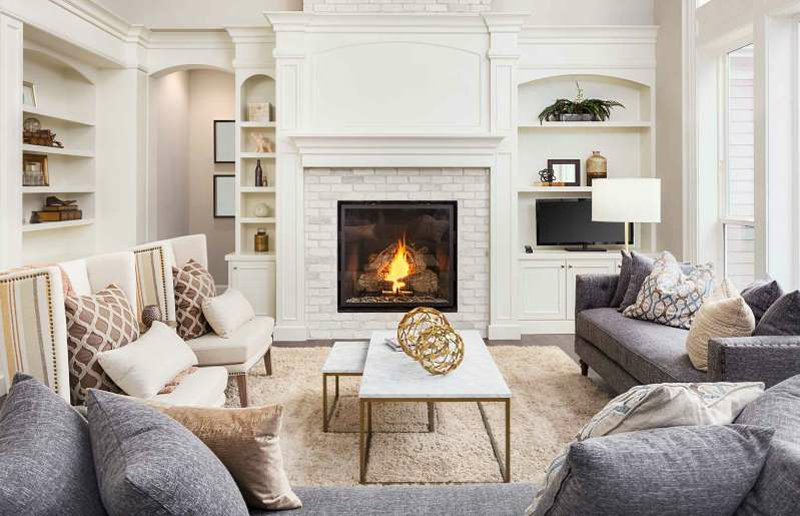 There's no doubt a fireplace adds interest and charm to a room, while also serving as a focal point that can bring together your entire interior. 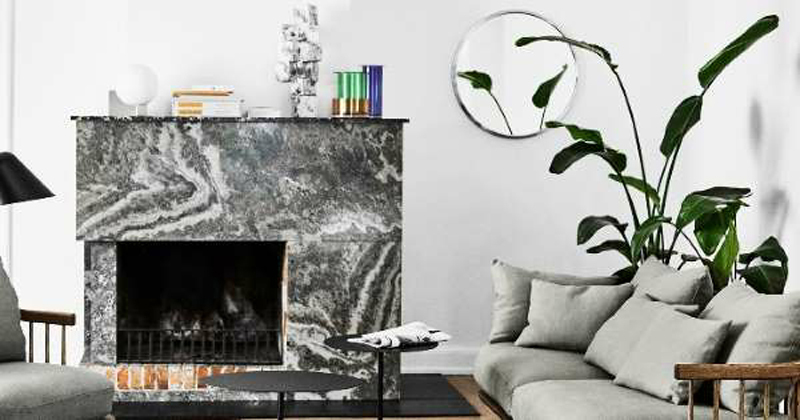 Plus, they add to your property’s appeal and its value, with some estimates suggesting that a working fireplace could push up your asking price by as much as 5%. 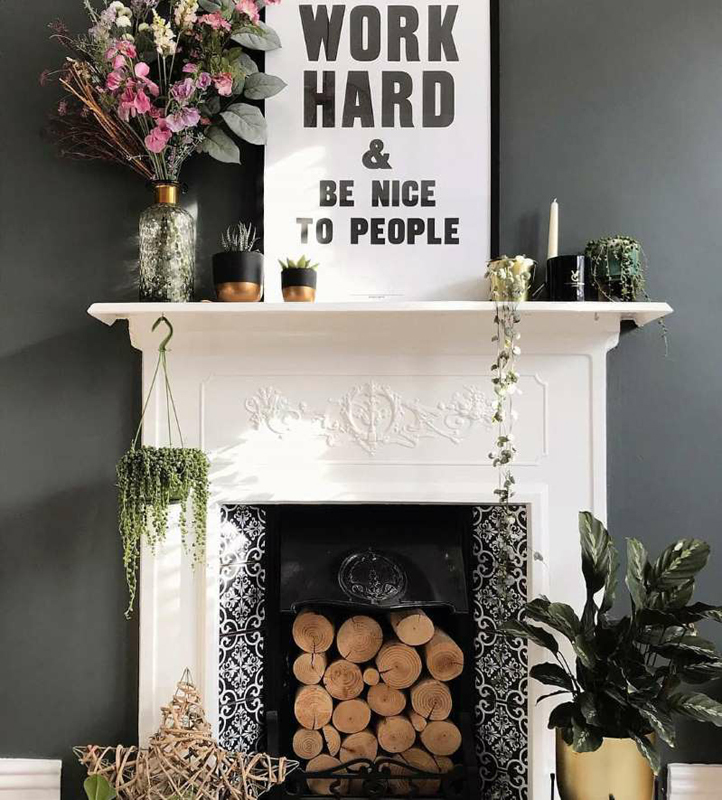 But if your mantel is looking a little tired there are lots of budget-friendly, practical tips to give it a makeover. You’d be surprised how much of a difference a scrub and a polish can instantly make to a hearth. For any brass details, mix half a lemon with table salt and make a paste, then rub onto the affected areas. Once the initial grime has been removed, wipe with a damp cloth and then buff until it sparkles. 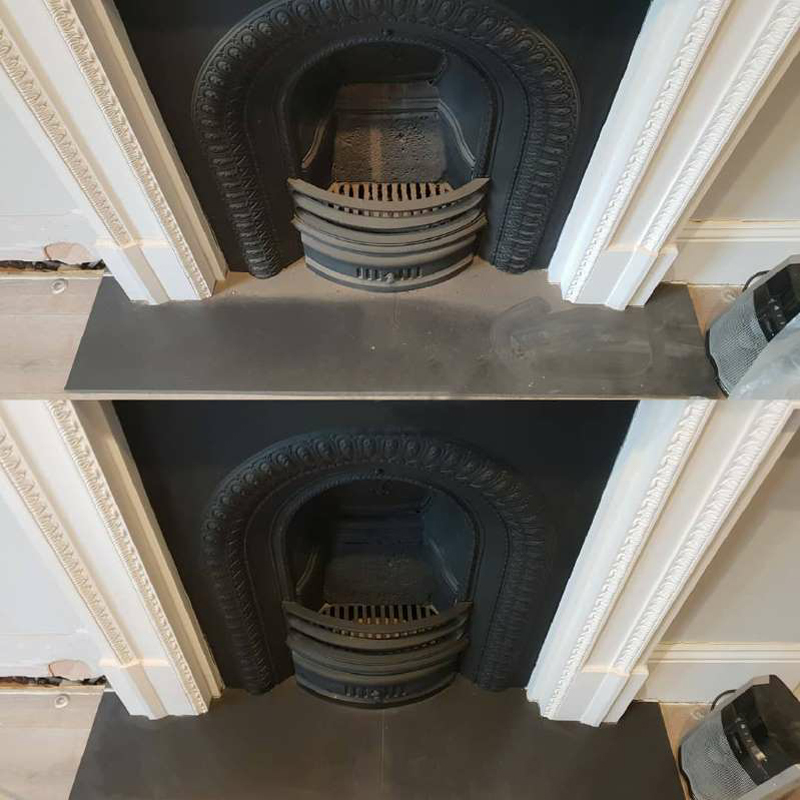 If you have a cast-iron surround that’s been marked or has a bit of rust you could have a go at removing them with fine wire wool and some metal polish. Traditional fireplaces can have such beautiful features or engravings, but when the tiles are too dated or the paint’s chipped, they tend to look rather underwhelming. Keep the classic elements you love but give them a new lease of life with a lick of fresh paint. It’s probably the easiest way to refresh the area and gives you an opportunity to be a bit creative. Wooden surrounds: These are easy to makeover but remember to strip it and sand before cleaning the area and applying primer. Two coats of your chosen wood paint should do it, or semi-gloss acrylic paint works really well, but let it fully dry before you start on the second layer. Why not pick out the ridges or some detailing in a contrasting color? The insert: You’ll need high heat enamel paint and a foam brush to get decent coverage. Always do a patch test first and see how the paint will take to the surface, as not all materials can be painted. Transform tired tiles: They’re a dream to paint over and a lot less hassle than retiling. Painting beige tiles white, for example, instantly lifts the area and looks like a whole new fireplace. Use painter’s tape to seal off the edges, so you get nice clean lines, then apply three coats of primer-sealer. 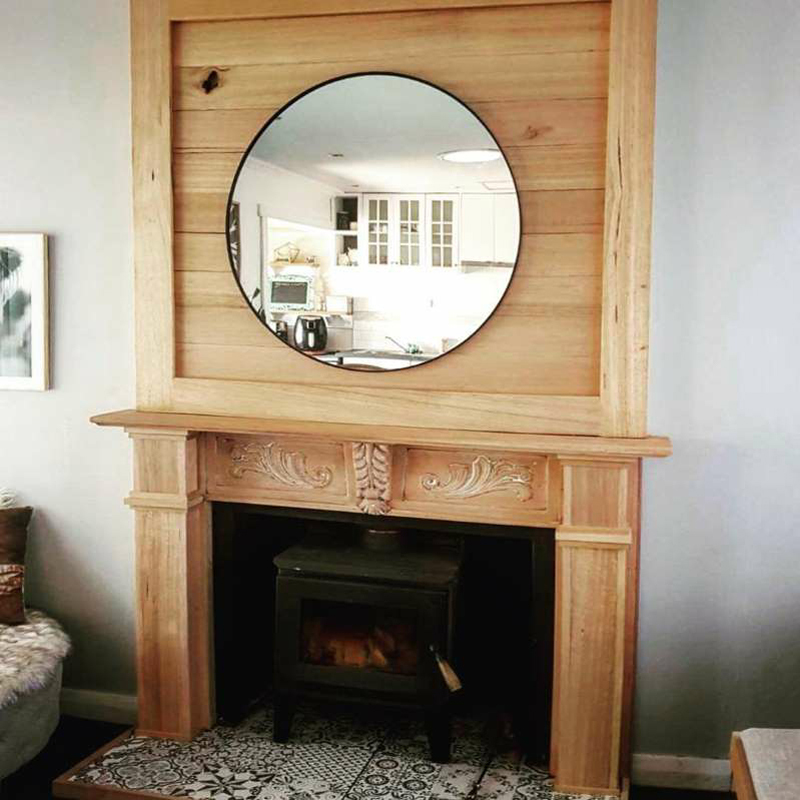 If you've inherited a traditional wood fireplace there are lots of ways to bring it up to date ito suit a modern look in your home. 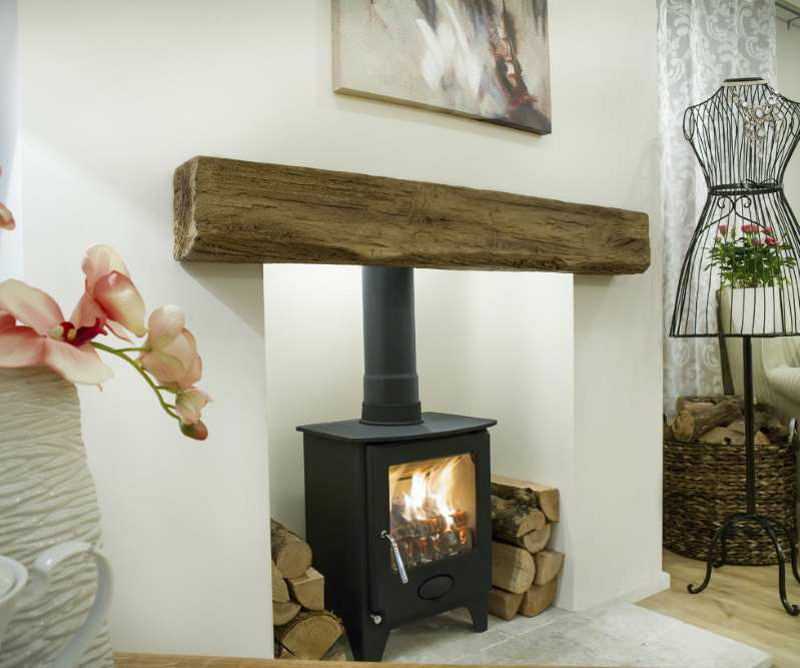 We love this idea of adding a panel above the mantel to turn the whole chimney breast into a focal point. Got a brick fireplace? Try whitewashing it to add a bit more light. Dull bricks aren’t the easiest thing to makeover and painting them bright colors can appear brash. A simple whitewash looks wonderfully rustic and gives bricks a new lease of life. It’s super-cheap to do too. Just pour equal parts of white latex paint and water in a container and mix well. Next, lightly spray the clean bricks with water, ensuring you don’t leave any drips. Use a rag to apply the paint, then switch to a dry brush to get any hard-to-reach areas. Bear in mind you might need a second coat to get the desired color. See, who needs a professional decorator? We love the look of a tiled fireplace and there are so many ways to tailor this to your taste. If you love bright colors, then go crazy! If you’re a fan of cool prints then you’ll enjoy browsing the chic options available. Or if you like a simple, refined look why not stick with a monochrome palette and add an interesting pattern? 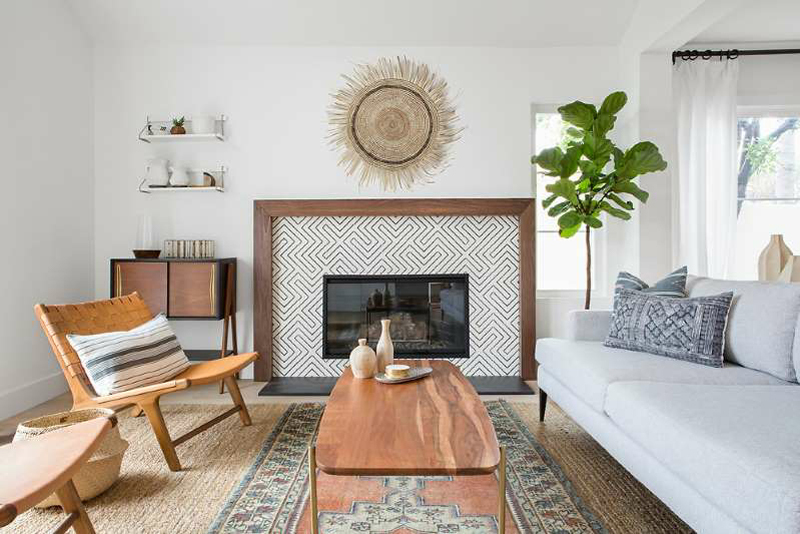 These encaustic cement tiles do all the hard work for you and their large size means it's a fairly quick job to tile the area around the fireplace for a modern, clean look. And don't forget, it doesn’t all have to be about the surround. Push the boat out and tile the hearth instead. It’s not the quickest DIY job, but it’s one of the most effective. If you’re a fan of the country farmhouse look, how about a floating beam? These are a great option for those with a hearth but no surround and are easy to fit. You can find your beam anywhere – the local salvage shop, eBay, most wood shops or there are loads of online retailers that have rustic examples for sale. Installing the beam is fairly straightforward and you’ll need a level, angle grinder, drill, lag bolts and vent sleeves. There are loads of easy step-by-step videos on YouTube about how to do this, just make sure you mark the required height clearly and drill at least every 16 inches for sufficient support. A mantelpiece can really make a fireplace and acts as an architectural anchor in your room. 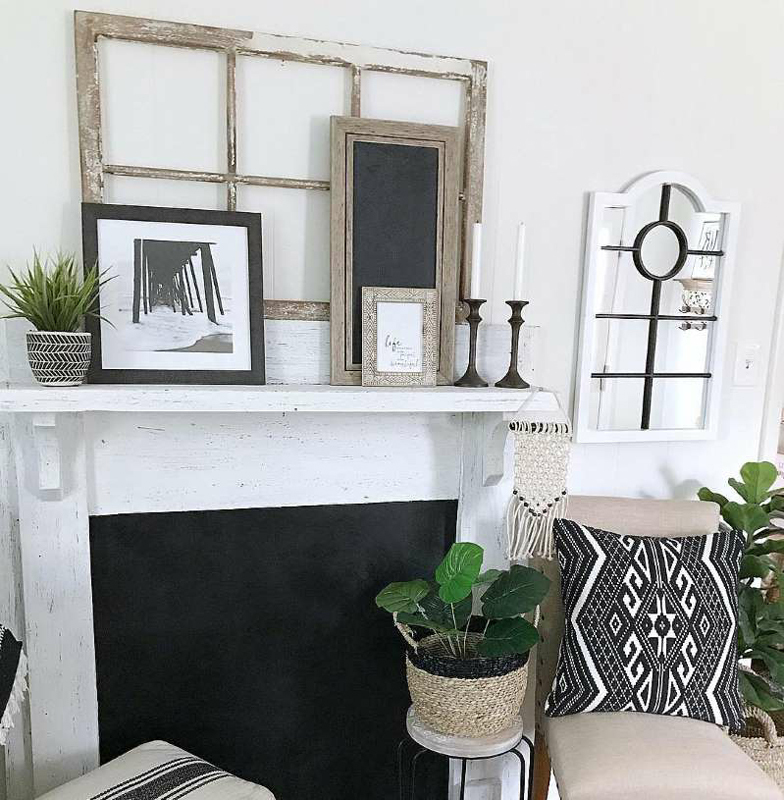 Whether you prefer a grand one with carved feet and ornate patterns, a simple wood frame, or even a sleek silver number, this is a great way to make more of a feature of your fire. They often come with a shelf too, so you can play around with photo frames or candlesticks. 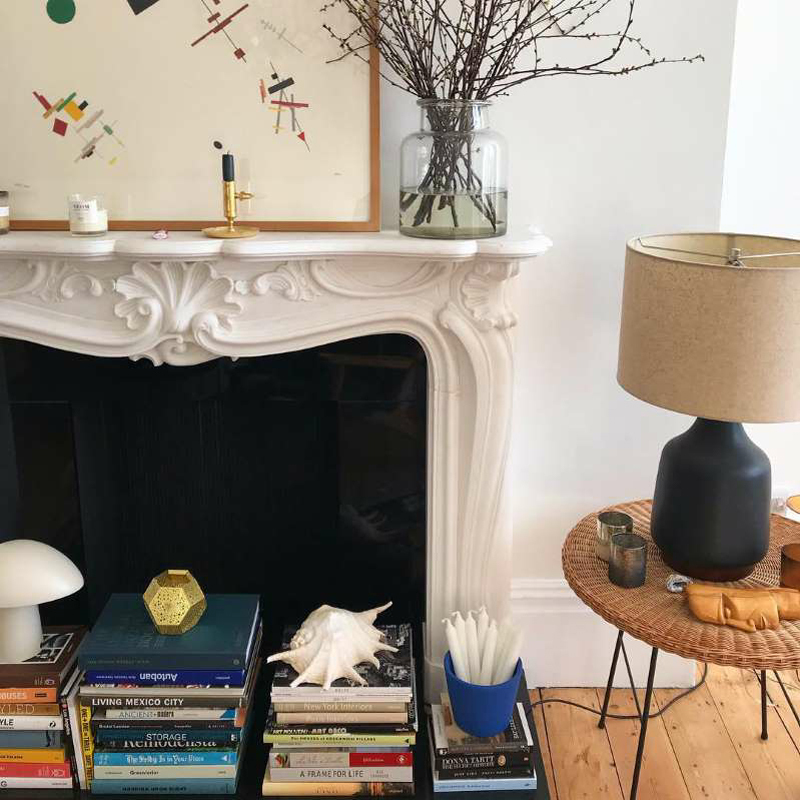 You can find some gorgeous second-hand mantels on Gumtree, eBay or through architectural salvagers Lassco – plenty of people rip them out when renovating. Just be sure to check your measurements. If you aren’t able to have a fire or log burner in your fireplace, don’t leave it as an empty space – you can still make this a feature and enjoy it. Try surrounding it with pretty fairy lights, or place lanterns in there, or a silver platter of different sized pillar candles, to get the firelight aspect. You could even try piling chopped wood in the space, or adding a basket of pinecones, for example. There are even specialist suppliers of treated display logs that will never rot or discolor. 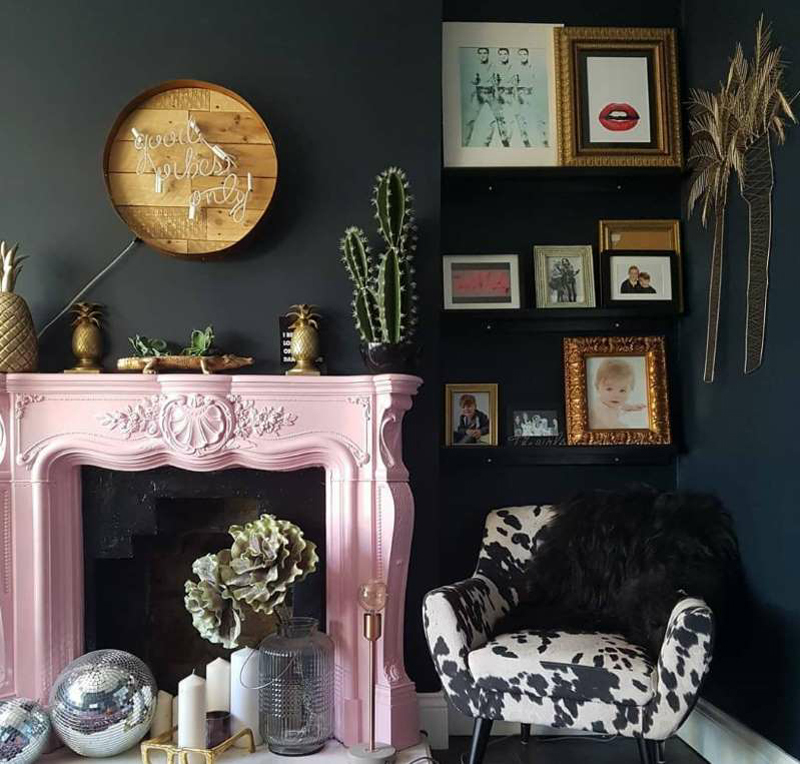 There’s one failsafe way to make your fireplace more of a statement – and that’s to decorate it! And if DIY really isn’t your thing, then this is one for you. Find yourself a huge mirror to top the mantle, or adorn the wall above with art to pull the eye in. You could try a few big pieces or a gallery wall of mismatched frames – whatever works for your space.